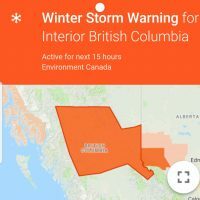 Prince George has a reputation for lots of snow, frigid cold temperatures and a winter season that lasts half the year. However…this is no longer the case. Any residents born pre-‘90s will have memories of trick-or-treating in 3 feet of snow and having to find a costume big enough to fit over your snowsuit. Flashback to this past November and you couldn’t even find snow at the base of the famous, almighty Viking Ridge hike (pictured below). There was plenty of snow to be found at the top though! Viking Ridge in November 2018. Photo credit: @emjay.rae and @explorewithjm. Winters around here have become fairly mild in recent years. While the snow and sub-zero temperatures do arrive, they don’t seem to stick around as long as they use to, nor do they get nearly as harsh. 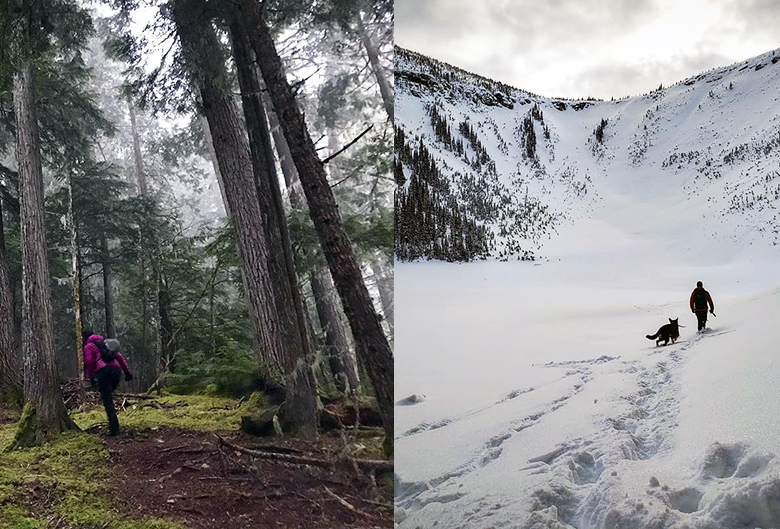 However…approximately once or twice a winter season, our cell phones will go off, notifying us snow-seeking adventurers that a winter storm is on its way. And, oh boy, do we get pumped! 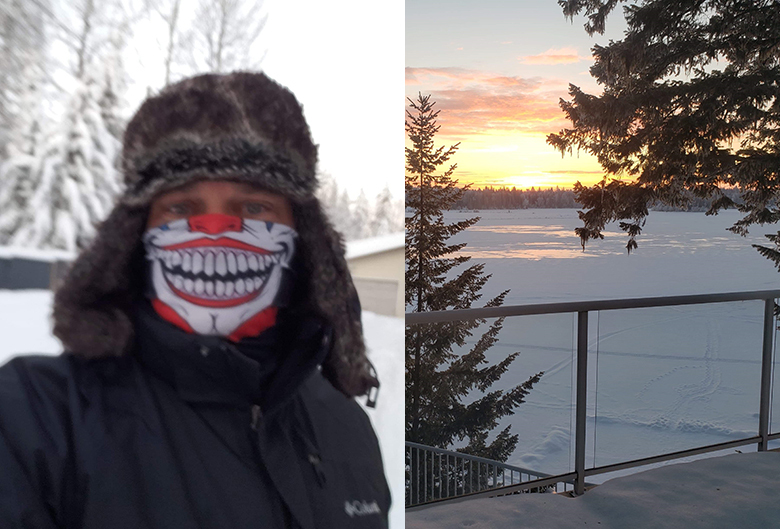 Here’s how locals survive what we call “snowpocalypse”, in combination with a weekend of “the air hurts my face”! So bundle up, and follow along! Personally, I recommend taking an extra day off and hit the slopes. We lucked out and had Friday off and took full advantage of it. When that northern powder is coming, you don’t want to miss making the first tracks. 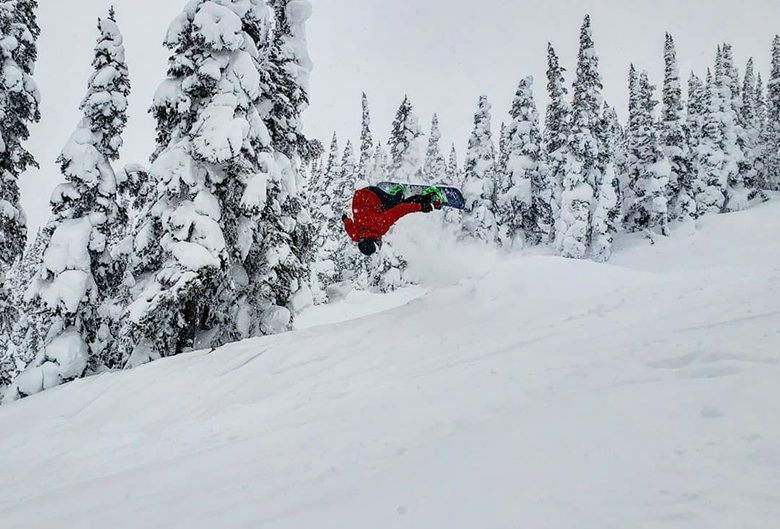 Make sure you have a solid ride with some winter tires and head north to Powder King. Find them on Facebook or Instagram. 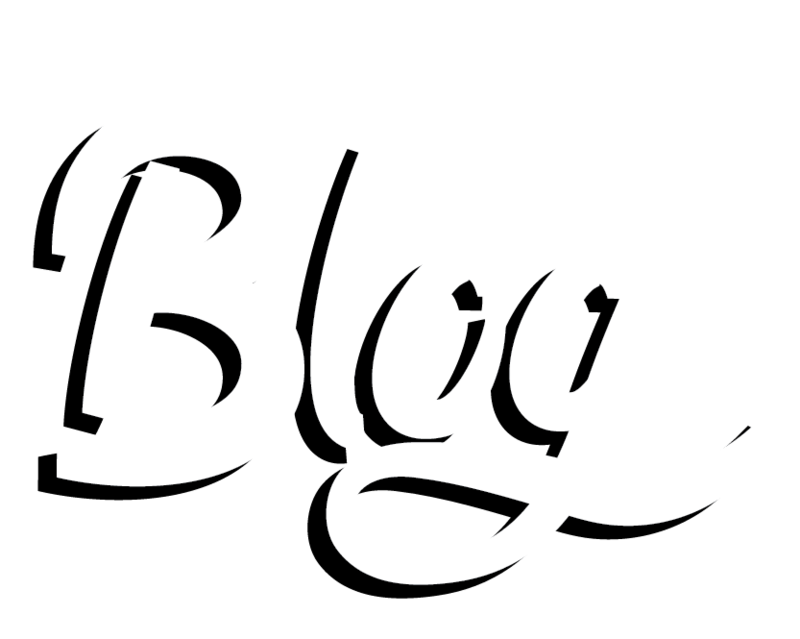 If you don’t have your own wheels to get you there, you can always find other adventure junkies with ease on these Facebook pages. Make sure you having something to offer, whether it’s gas, food or beer, and you will certainly make friends fast. After an epic day of shredding in the fresh powder, blowing snow and cool winds, we headed back home, crushed some food and got ourselves ready for day two. 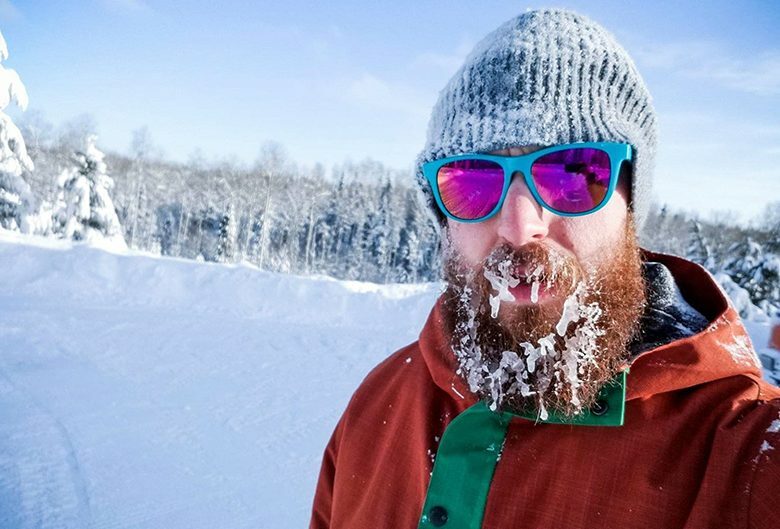 We took the family to Purden Ski Village (you can also find them on Facebook), less than an hour east of Prince George for a blue blazer snow day. Bundle up because as stunning as the blue blazer days are, they tend to feel a bit chillier. 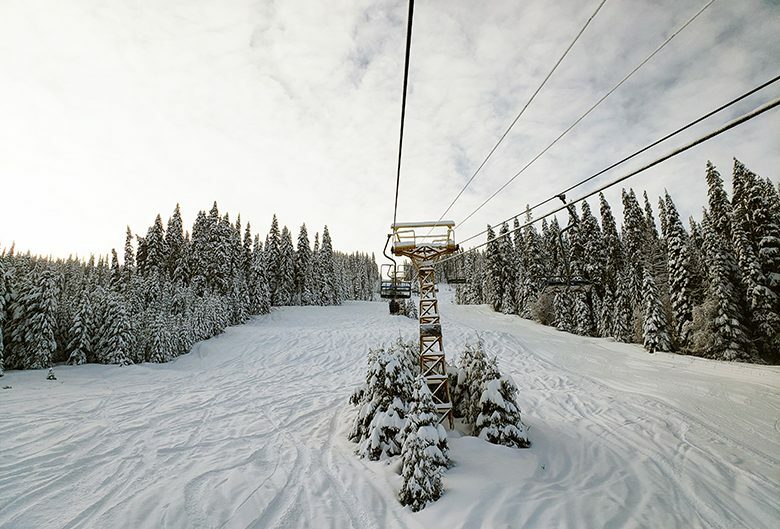 Even though Purden is a smaller hill, it has something for everyone, including two chair lifts, a t-bar and short lines. It’s a great place to spend a sunny Saturday with family and friends. The chair lift at Purden Ski Village. Photo credit: @emjay.rae and @explorewithjm. Sunday brought on the frigid temperatures and we chose to stay indoors, hanging out in our woollies with the pups. We took to social media to catch up on what our friends did to survive our annual cold, snowpocalypse. Some were responsible adults and got caught up on the snow blowing, like Rick Mayhew, Realtor at Royal LePage. He chose Friday during the epic snowfall to snow blow his beautiful waterfront property located on one of Prince George’s finest residential waterfronts, Ness Lake. Rick Mayhew and the view from his deck. Photo credit: @rmayhewrealtor. Ben Gibson, founder and movie producer extraordinaire at Media Forge Studios, was kind enough to lend his parents a helping hand clearing their driveway, but he waited until the cooler temperatures had arrived to do so. Becky Dochstader took to trails on cross country skis, bundled head to toe to enjoy the fresh snow and balmy -25 degree temperatures. 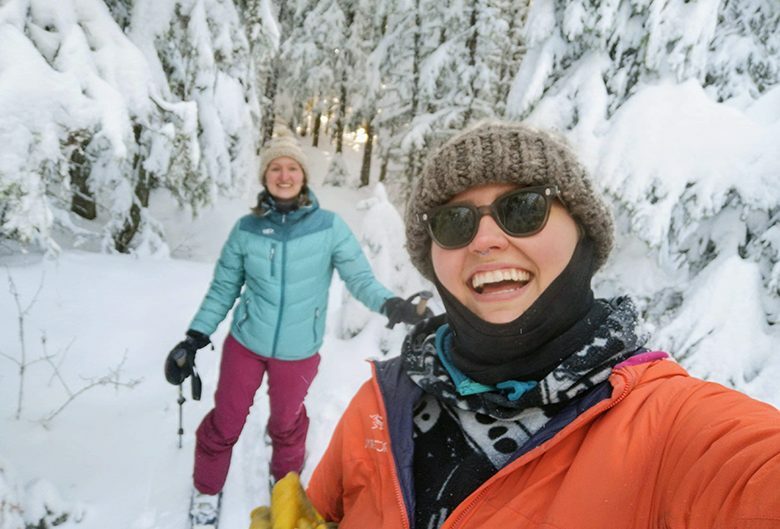 Becky and her friend cross country skiing. 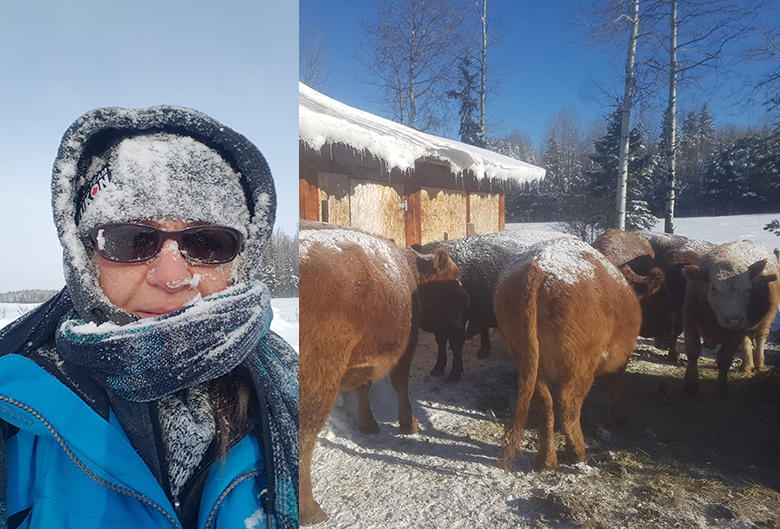 Jaye Frazer-Annis got to work out on her Blackwater farm where even the cattle were getting frosty, with smiles all around as they welcomed new animal babies into the world. And while Mary Anderson, PG Snowmobile Club (find the club on Facebook too) Vice President and theinvolvedhusband.com blogger, cleared his driveway first, he was able to escape and enjoy the sunny -28 degree day and go riding in the backcountry. 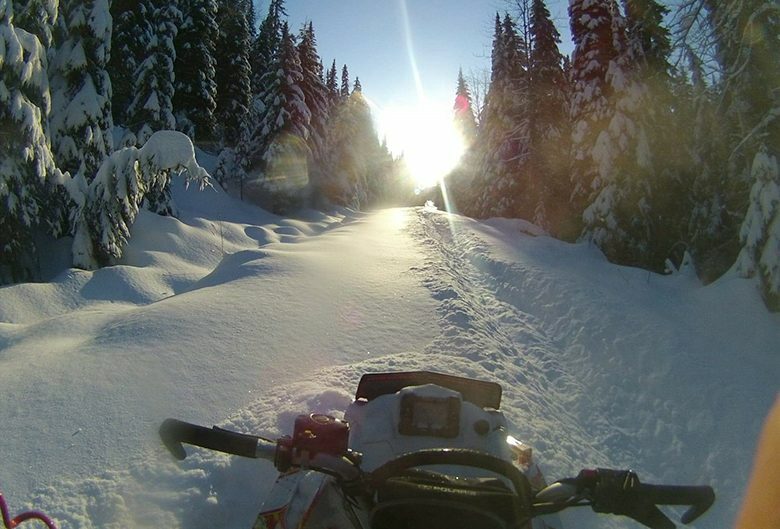 Snowmobiling on a sunny day. Photo credit: @martmanpg. 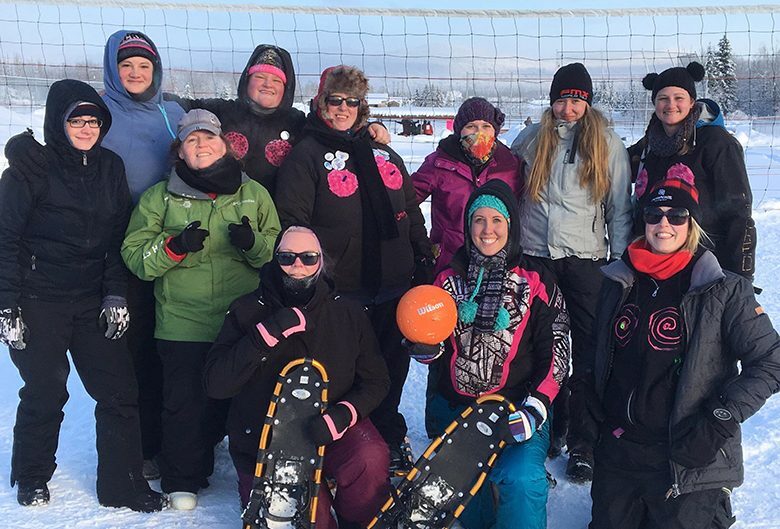 Some, like this entire group of people known as Team FemBots, were lucky enough to partake in Snowfrolics, an annual fun, outdoor games day including Snow Volleyball and Sno-Pitch, followed up by a dinner and dance banquet, all put on by the Pineview Recreation Commission. Snowfrolics fun! Photo submitted by Adrienne Wawryk, Team FemBots. And if you were lucky enough to be out there, you got to witness Steve Brawn’s amazing outfit for the festivities! 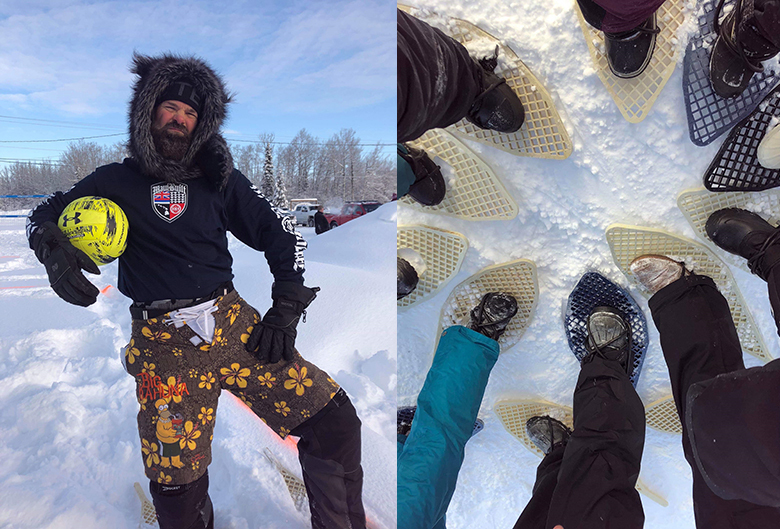 Steve, his outfit and some snowshoes. 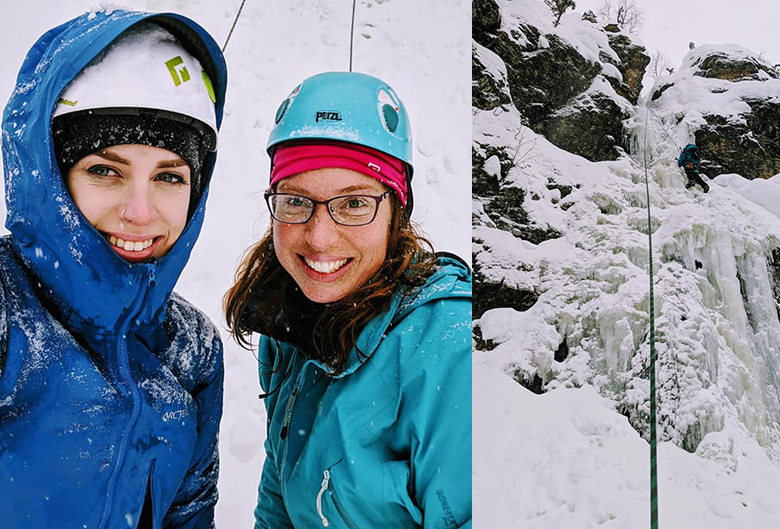 Angeline Spears, President of the PG Section of the Alpine Club (find the club on Facebook), was pumped to see some cooler temperatures and headed to Azouzetta Lake with Overhang owner, Lauren Phillips for an adventurous day of climbing frozen waterfalls. Angeline and Lauren at Azouzetta Lake. Photo credit: @hyliange and @overhang.pg. But even us seasoned locals sometimes want to hide from Mother Nature when the air hurts your face. 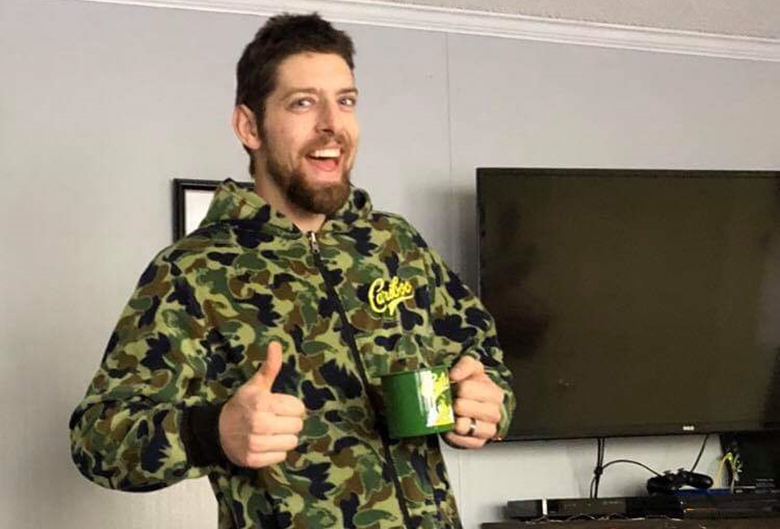 So feel free to crawl into your Cariboo Brewing onesie, and pour yourself a drink of something to warm your soul while you rock out a lazy day with the family like Prince George’s own tall guy who rides small bikes, Trevor Oliver. Trevor rockin’ a Cariboo Brewing onesie. Photo credit: @bmxdad89. So, whatever your fancy, and no matter the weather, you can always find something to not only survive but fully enjoy the northern winter days!